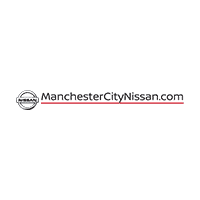 If you need to get your car serviced but don’t want to spend an arm and a leg, rely on the Manchester City Nissan service department. We have a rotating variety of oil change exclusive offers, brake service coupons, and more, so you can be confident that you’re getting a good deal on service. Routine maintenance is essential for your Nissan, so we don’t want you to put off auto repair because it’s too expensive. After you view our auto repair coupons online, make your way from Vernon to Manchester – we want to keep your car in the best condition possible! Questions? Contact us today. Please present coupon at time of write-up. Cannot be combined with any other offers or specials. One per customer, per transaction. Valid only in our Service Department. *Nissan and Infiniti vehicles only. Please present coupon at time of write-up. Cannot be combined with any other offers or specials. One per customer, per transaction. Valid only in our Service Department. Valid on most Nissans. See your Service Advisor for details. Receive a $7 instant rebate towards the purchase and replacement of 2 Nissan wiper blades.